“Oldboy” is Spike Lee’s first major film in some time, and it’s an interesting choice. It’s a remake of a Korean thriller (“Oldboy,” starring Min-sik Choi), which was loosely based upon a Japanese comic book. It’s full of graphic violence but contains no guns. The story was already convoluted, and the changes Lee has made result is a film that which displays consummate craft and skill, but whose underpinnings are so inconsistent and surreal that it’s hard to say whether it’s good or bad. The story follows an ordinary fellow, Joe Doucette (Josh Brolin), who is kidnapped, held in a hotel room for twenty years, and then mysteriously released. The man who orchestrated the ordeal demands that Joe discover his captor’s identity and the reason behind his detainment. Along the way, Joe finds help and solace in a young nurse, Marie (Elizabeth Olsen), and assistance from his old friend Chucky (Michael Imperioli). The cast is rounded out by Sharlto Copley as the mysterious man behind the whole situation and Samuel L. Jackson as the warden of the prison where Joe is held. “Oldboy” is filled with top-notch skill and craftsmanship. The camerawork is creative without being obtrusive, the acting is solid, the effects are spot-on. Where it falls a bit flat is in the plotting and character design departments. Without giving away too much (this is a film that benefits from not being spoiled ahead of time – it even has some surprises for those familiar with the Korean original), the antagonist of the film is so omnipresent as to be completely beyond belief. He has cameras on Joe at all times, including logistically impossible ones, and knows how to manipulate people in incredibly precise ways. Suspension of disbelief is one thing, but this pushes that envelope too far. Worse, the antagonist and his bodyguard are thoroughly, offensively stereotyped. He is effete, mincing, perfectly dressed, carefully accented – your standard effeminate villain. His bodyguard is every “incredibly hot Asian lady who can kill you” stereotype rolled into one. Fans of the Korean film will find both homage/recreation (in some cases, shot-for-shot) and totally new material. Those who haven’t seen the original may well enjoy this version, provided they’re ready to ignore the antagonist’s veritable super-powers. One group who should most assuredly stay away is those who dislike gruesome violence and graphic torture. Although a surprising amount happens off-screen, there’s never any doubt in the audience’s mind about exactly what is going on. The sound effects alone are enough to produce discomfort in those who don’t like that sort of thing. 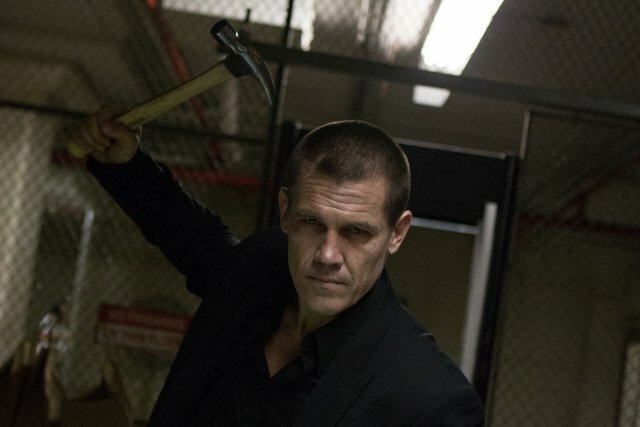 “Oldboy” defies easy encapsulation. It’s a psychological thriller that tramples over conventional morality and delights in messing with the audience’s head. If you like that kind of thing, check it out. Otherwise, it’s probably not your cup of tea.